Bahria Town Counsel offered compensation to the people affected by Revenue Employees Cooperative Housing Society (RECHS). The counselor has also warned affectees to be ready for litigation in case they reject compensation. Zahid Hussain, BT counselor, while arguing the case regarding the merger of 2,882 kanals of RECHS with Bahria Town before the Lahore High Court division bench in the Rawalpindi registry, comprising of two senior judges, offered three proposals to redress the grievances. One of the proposals is that Bahria Town is ready to offer RECHS affectees developed plots in DHA Phase I extension or in Overseas Enclave at Bahria Town Phase VIII in lieu of their lost plot. Otherwise, affectees could also be offered compensation for their land. In any case, the affectees cannot retrieve their original plots as the DHA has established offices and other infrastructure on that land in order to get rid of litigation. He further told the court that in case affectees refuse to accept litigation, they will have to spend decades before they get a decision in their favour for the retrieval of their land. 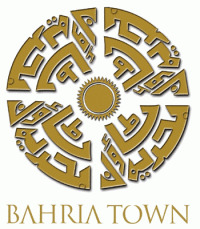 Counselor of the affected persons, Raja Mohammad Bashir, however, rejected the offer made by Bahria Town and told the court that Bahria Town management has made such offers several times in past. After acquiring land unlawfully, Bahria Town sold land immediately to DHA in 2005. Justice Hassan observed that original plots cannot be retrieved. He asked counselor of the affectees whether people are interested in getting plots at alternate places or want court to punish the Bahria Town Management. The court has adjourned the hearing till 13th August, 2012.